Thankfully, Dot.Kill is an entertaining mystery. 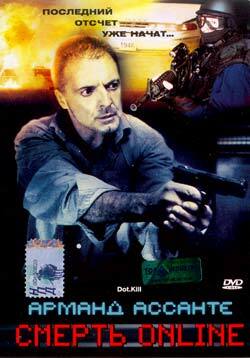 Charlie Daines (Assante) is a morphine-addicted cop on the edge, who doesn't have much time to live. Daines has his own demons, but a serial killer is on the loose, killing people over the internet. Can he stop him in time before his next fix? The best part of the movie is Assante's performance. He goes over the top and back. At one point he is confronted by one of his partners about his drug addiction. Daines starts going insane. He picks up a hot poker (which comes out of nowhere) and says "Do you want to burn me!??!!" The drawbacks to Dot.Kill are the similarities to Fear Dot.Com (2002) and the ending. But if you like Assante's work, you’ll have a fun time.